Uganda news and media consists of the various media channels that provide news to the people of Uganda. During your business trip to Uganda, you will have a good range media from where to access important local business travel news. As a business traveler, you're also interested in understanding the Uganda Media so that you can plan how you will advertize your business. We give you a brief analysis of each of the major media houses in Uganda to help you quickly make an informed decison on which news channel would best reach the target clients for your business. Print media forms one of the oldest and most significant part of Uganda news and media being utilized by most Uganda businesses to advertize their services. Uganda Radio channels along with T.V channels make up the electronic aspects of media and news in Uganda. These channels broadcast in various languages including English for the convenience of the natives of the country, the elite of Uganda and foreigners. These are the most popular sources of news in Uganda today. Uganda online news and media is also growing rapidly in the recent past. This multimedia channel has become a popular form of news and media in Uganda especially among university students, Ugandans in the diaspora, young corporates, and investors. Uganda media houses are governed by the Ministry of Information and Technology (ICT) whose operational level is composed of telecommunications, postal, information technology and broadcasting with the affiliated bodies being Uganda Communications Commission , Broadcasting Council, Uganda Posts Limited, Uganda Institute of Information and Communications Technology and The Uganda National Information Technology Authority. On this Uganda news and media guide you will find summaries of important business travel news articles from Uganda online news, Uganda FM Radio news, Uganda TV news, Uganda Newspaper news and how the news events can affect your business and your travels in Africa. We have included top business travel stories, tenders, important government announcements, public company press releases, Consulanties and Job posts. We have included some information to help you start a Uganda Multi media related business. You also have the chance to comment on each one of the featured business travel news stories in this Uganda Media guide. 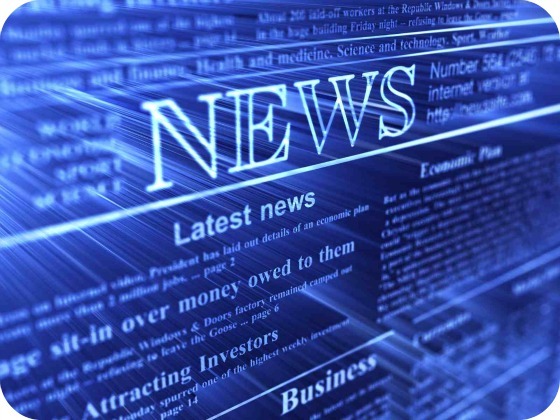 You will be able to follow a particular business news story from start to finish. We try to help you understand how the business news affects your African business venture. The Monitor Newspaper - This Uganda Newspaper quite Independent and can therefore publish news which the Newvison would not publish. CBS FM Radio - This radio station was recently closed and re-opened by the Government of Uganda. On most of these Radio stations you will be able to get the news when you tune in at the top of the hour. While in your Uganda hotel room you will be able to keep upto date with International News through DSTV. Through DSTV you will be able to watch CNN News, BBC News, Sky News, and Algezira News. DSTV is a prepaid satelite TV service. WBS TV - Yet another privately owned TV station and here you will also be able to get some local news. Urban TV - A subsidiary of the New Vision Media Group, targeting teens. So, what business travel story is making headlines in Uganda news Today? In this section of the Africa Uganda Business Travel news guide we digest for you the latest business and travel news stories in Uganda. Use the information in these Uganda news stories to understand some of the real world dynamics of the industry you are planning to establish your African venture. You also have the opportunity to comment on each and every news article posted on this page so that your opinion can be heard regarding the issues at hand. Have A Comment For The Africa Uganda News Guide? Do you have a comment about any article on the Africa Uganda Business Travel News Guide? Share it! Your comment will appear on a Web page exactly the way you enter it here. You can wrap a word in square brackets to make it appear bold. For example [my story] would show as my comment on the Web page containing your comment. Budongo Forest Uganda Nominated to the Tourism for Tomorrow Awards. Climate Change and the business opportunities it presents for Africa.